Mr. Ruiz-Montilla’s practice includes real estate, hospitality, corporate, advertising, sports and entertainment law. Over the years he has been involved in many aspects of real estate, hospitality and corporate transactions, including resort and commercial developments, structuring of corporate acquisitions, planning and structuring timeshare, condo-hotel and condominium projects, negotiating lease agreements for all types of commercial developments, and the creation of governance structures for resort communities. He has worked as real estate counsel in a number of renewable energy projects in Puerto Rico, including Puerto Rico’s first wind farm, and has extensive experience in real estate matters related to the petroleum industry’s retail operations. Mr. Ruiz-Montilla acts as international counsel for the world's leading zip-line operator, providing advice on its global expansion in jurisdictions such as Puerto Rico and Ras Al Khaimah, one of the seven emirates that make up the United Arab Emirates. He has participated in the drafting a number of laws and regulations providing incentives for the tourism and film industries in Puerto Rico, including the Puerto Rico Tourism Development Act of 2010. Mr. Ruiz-Montilla is ranked as one of Puerto Rico’s Leading Attorneys in the Real Estate field by the renowned international publication Chambers & Partners in both its Global and its Latin America Guides. He is also ranked in in the Real Estate Law field of The Best Lawyers in Puerto Rico guide. He is Treasurer and Member of the Board of Directors of the Ricky Martin Foundation, and is Co-Chair of Libertad 2018 the Foundation's first fundraising gala in Puerto Rico. He is also the legal counsel to the Board of Directors of the Puerto Rico Construction Materials Merchants Association, a non-profit organization representing manufacturers, distributors and retailers of construction materials. Acquisition and financing of four shopping centers containing approximately 600,000 square feet of retail space. Acquisition of Industrial Rubber & Mechanics, Inc. by Kaman Industrial Technologies Corporation. Financing of Caribbean Petroleum Corporation. 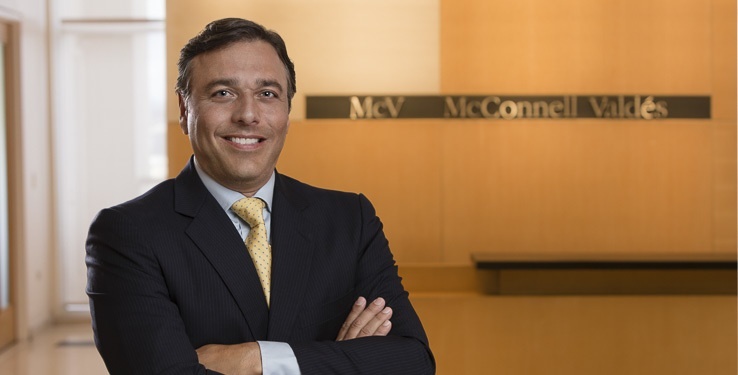 Puerto Rico corporate counsel to EMC Corporation. Acquisition, development and financing of the following hospitality projects: Dorado Beach Resort, Coco Beach Resort, Coco Beach Golf & Country Club, Costa Caribe Ponce Hilton Resort, Condado Vanderbilt, La Concha and the W Vieques Resort.